Now That You’ve Decided, Let’s Try to Answer – How Long Does a Pool Take to Build? *Want a quick look at a time-lapse of a pool being installed? Click here. The summer heat is closing in on us (we’ve hit the 100’s in California! 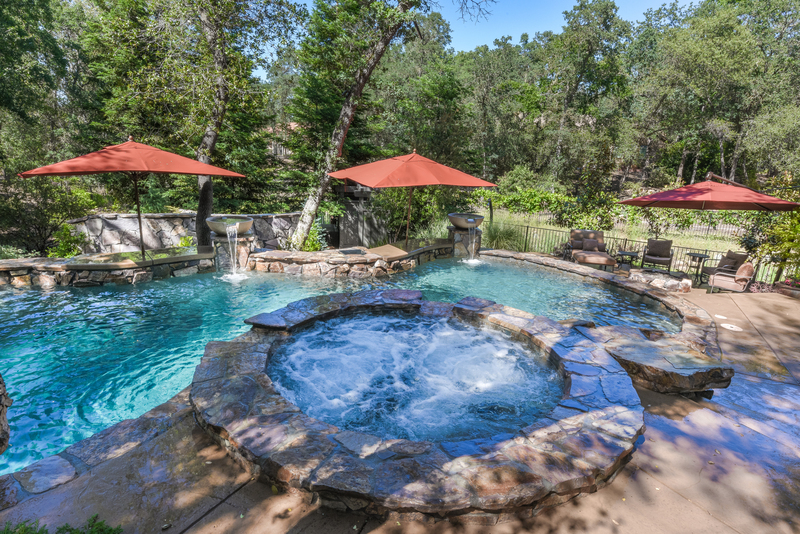 ), you’ve decided to take the plunge and have your inground swimming pool built. Great decision – you’ll love your new swimming pool and it’s the perfect time to build a great place to entertain and cool off in the summer. But it’s May, and you’re getting antsy to take a dive – how long do you have to wait? While we can’t give very specific times, we’ll give you a general breakdown of how long you can expect to be swimming from the time you sign the contract with us. Swimming pool installation is a lengthy process, sure, but it can be broken down to a few general steps to get an idea of where you are in the process; starting with design and permits, to excavation, plastering, and then finally relaxing on your tanning shelf with your feet in the cool water. This is the most difficult stage to estimate time for. While the design process is as simple as ever thanks to our use of 3D modeling, there will likely be many stages while we work with you to design the perfect pool custom fit to what you envision. On top of that, permitting is often out of our control. We have years of experience working with municipalities, but depending on where you live, this can be a simple process or a long-drawn out process. We do everything we can to hurry the process, and have good relationships with the cities we build in, so almost always this is the best case scenario instead of the worst. Once we have the design and permits, we can schedule excavation. This is typically a very quick process, but some things do affect the timing – ease of access, the need to work around utility lines, and more. Often times, this process will get done in a day or two. After the pool is dug, we lay the steel, route the electrical and plumbing, and make sure everything is set for a long-term swimming pool in your yard. 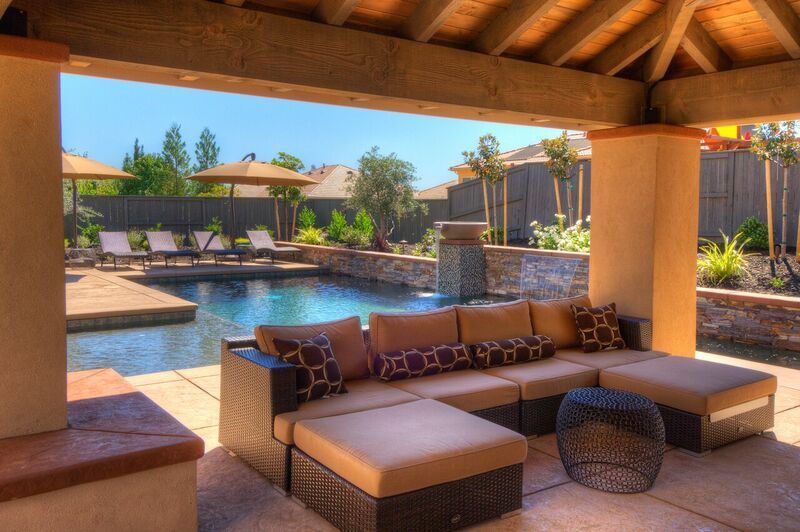 There are a lot of things to build around including your systems, and lighting, water features, spas and more. This process is still fairly quick and can be completed within 2 weeks depending on the size and complexity of your swimming pool. If you’re installing a vinyl or fiberglass pool, this process is fairly easy as the manufactured pool liner is brought in and installed. If you’re getting a gunite swimming pool, however, this takes a little bit longer. We have to schedule the gunite crew and then plaster, and allow time for the gunite to cure (which can take up to a week). The final step before (or sometimes during) you get to enjoy your pool is the installation of your deck, landscaping, waterfalls, custom lighting, and more. The pool is ready to be filled, and we’re doing all the final work that will really make your pool your own. This process depends largely on how many custom features and what type we’re working on for you. Your pool is ready to enjoy! While it may seem like a long process to build a swimming pool, taking 6 to 10 weeks (discounting extra time for permitting in more difficult areas), the total time to enjoy your pool, 260-2080 weeks, seems like a good payoff. If you have any questions about the pool building process, don’t hesitate to find one of our locations and contact us with questions.